Angie began her transplant journey four years ago this past January. By November 2013, she had been on dialysis for three years — starting with hemodialysis, then moving on to peritoneal dialysis, and then back on hemodialysis in December 2013. These treatments are three days a week for four hours each session. That ENDS tonight! Please say your prayers that the donor Virginia Mason Medical Center has found is a complete match. Angie and her family will know either tonight or first thing in the morning if they will be making the flight to Seattle for transplant. 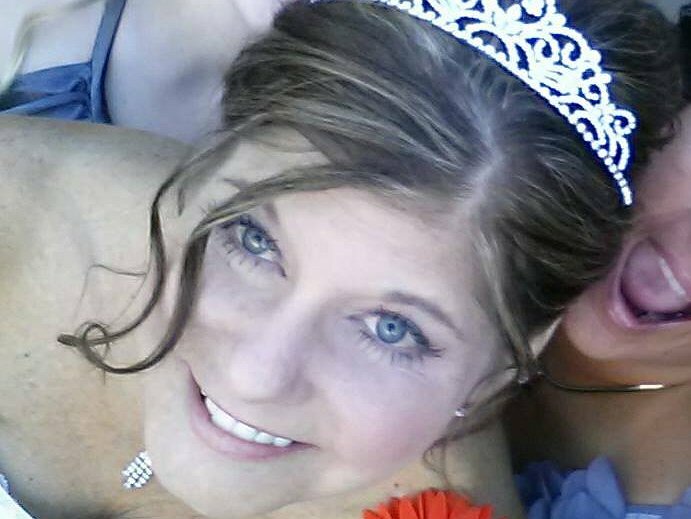 Now more than ever family and friends of Angie Weiland Light are raising money to pay for uninsured transplant-related expenses. To help with this financial burden, a fundraising campaign in Abgie’s honor has been established with HelpHOPELive, a trusted nonprofit organization that has been providing community-based fundraising guidance to patients and their families for more than 30 years. All donations are tax-deductible, are held by HelpHOPELive in the Northwest Kidney Transplant Fund, and are administered by HelpHOPELive for transplant-related expenses only. Please consider a contribution today by clicking the DONATE NOW bar. Your contribution is greatly appreciated. Thank you for your support at this time. Praying the creatinine has gone down and that is why I haven’t heard from my doctor. They have never seen such a problem with edema which is discouraging to say the least. Eric says they probably don’t usually put almost half a person’s weight worth of fluid on a patient to keep the pancreas flushed and prevent clotting. 50 lbs of fluid on a 115 lb female is a lot different than 50 lbs on a 200+ lb male. I have gone back up 10 lbs in fluid since they cut my diuretics, and they said it probably shocked the kidney into holding on to sodium. At least I know it is fluid since I can see it in my face, arms, hand, and legs, not to mention the already bloated tummy being full again. If this part could pass I would feel so much better! Patience, once again, and once again not easy for a type A personality to handle real well. At least they have approved a trip to Hermiston next Friday for the Lewiston Bengal football game, and then hopefully home October 1 or 2. This has been quite the journey and I thank God every day for this gift and for the donations made to my HelpHOPELive fundraising campaign. I do not know what we would have done without it!!!!! Thank you ALL! Still have 25 extra pounds of edema on board, but after my ultrasound of the organs this afternoon it shows that is all it is 🙂 I heard the blood flow through both the kidney and the pancreas and they are both clear of clots and narrowing of the vessels with strong blood flow 😉 This means I will not need to be tapped to drain what they thought might be lymphatic fluid. They did up my diuretics back up to 80mg morning and night so hopefully that speeds up the process! I am completely off the pain meds now, so that is a huge relief…I don’t like asking them! My Tacrolimus has been increased, but the prednisone dosage is down to 10 mg daily, still praying they back me down to 5 mg of that one soon. I cannot even begin to thank everyone for their continued prayers, Facebook messages, emails, cards, texts, and the financial gifts that have been made to my campaign. It all means the world to me, not to mention elevating the stress of how we were going to cover the costs of transplant. So far contributions will cover two months of our rent. Our apartment is exactly what we needed, fully furnished, laundry in unit which is critical for continuous clean towels and of course my limited supply of pajama pants that actually fit :), parking in a secure garage, all utilities, and CLOSE to Virginia Mason, which was a necessity. The manager of the apartment building and her family were actually from Lewiston when she was little, and she is a second cousin of Eric’s good friend Toby who was in our wedding. I think it is a sign of being in the right place at the right time! We have a Seattle address, and mom just got back from sticking the fridge, pantry, freezer and paper supplies. It reminds me of moving into my first apartment…..complete stress!!!!! Update on care: my blood sugars are constant in the 80’s, creatinine clearance normal between .77 -.85, and INR I believe is at1.25, close to getting off last IV. I am having trouble getting the extra fluid they pumped into me off, but they figure that will start coming soon. Right now I am up 35+ Lbs and my skin looks like it is going to pop! It has to start shedding, the discomfort is horrible! We are working on my weekly med box today and update at each appointment. Met with the dietician today, and I have to stay away from salad bars and raw meats and fish (sashimi) and undercooked eggs for 2-3 months. Lots of veggies, fruits and lean meats. I really won’t have to deviate from how I already eat 😉 They still want a lower fat and sodium diet so I don’t tax out the new kidney to my heart. I’ve got this! We are currently looking for a different place to move into when we have to be out of the hotel. Thank you, thank you, thank you, to everyone who has donated to my fund! After our trip to Seattle this last Thursday and Friday, it hit home just how close we are, and how expensive this journey is going to be. Typically $1,500 – $3,000 a month to live in the proximity to the hospital we need to be, Parking passes at $200 a month or $20 per day. Lunch alone at the hospital cost Eric & I $20, and then there are the meds…oh so excited about those meds, a small price to pay though for the rest of my life being mine. I am so ready! We met with a different surgeon than last year, and he says I am the patient every surgeon wants. That made me even more confident that this is going to go well. We have now met with two out of the three possible surgeons who will perform my transplant, and I cannot be happier with our choice to go to Virginia Mason. I am still working on my “About Angie” and will post soon. As it was I wrote this 2 days ago and just now posting. Thank you all again! Your generosity means the world to me!!! !